Kodak’s new brand campaign named “It’s Time to Smile,” focuses on strengthening relationships by sharing important life moments, in pictures of course. Behind the happy message, though, is a not-so-cheery outlook. After thousands of layoffs and salary cuts earlier this year, the company reported yesterday its fourth quarterly loss in a row, PDN reported. Jorge Colberg at Conscientious alerted us to an interesting interview with William Patry, senior copyright counsel at Google and author of a number of books on copyright law, including his recent Moral Panics and the Copyright Wars. The interview covers topics from the AP-Fairey lawsuit to the moral imperative of copyright. Popular news site The Daily Beast, in partnership with Global Philanthropy Group, has launched a philanthropy and photography site, The Giving Beast. Be sure to check out the galleries, featuring works of Sarah Elliot, Elizabeth Gilbert, Suzy Allman and other note-worthy photographers. Despite some questions about its longevity, the New York Photo Festival will launch its third year in 2010, as Andrew Hetherington reported this morning on What’s the Jackanory? Lou Reed will be one of the lead curators this year, but Andrew tips his hat to Erik Kessels, whose 2008 NYPH conversation with Martin Parr was a highlight. We’re stoked about photo thought leaders Vince Aletti and Fred Ritchin (check out this excerpt from Ritchin’s recent book, too). 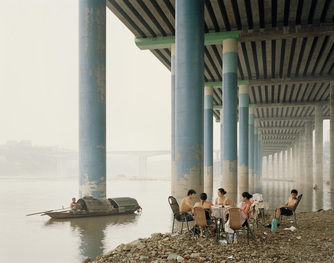 Prix Pictet announced yesterday that the winner of this year’s photography prize for environmental sustainability goes to British based Israeli photographer Nadav Kander, whose project Yangtze, The Long River Series documents the changing landscape along China’s Yangtze River. Pictet also awarded a photography commission to RESOLVE contributor Ed Kashi, who will fulfill Pictet’s annual commission this year in Madagascar. Vincent Laforet released his latest short film, Nocturne, shot with a prototype Canon 1D MKIV on Monday, but was asked by Canon to take it down the following day, he explained on his blog. Photo Business News and Fake Chuck Westfall both took Canon Japan to task for the move. If you didn’t catch Nocturne before it was taken down, it’s on YouTube, of course. And the drama goes on. After Shepard Fairey admitted last week that he had lied about his source of his Obama image, the Associated Press released a statement on Tuesday that they are challenging Fairey’s account in court as “purposely deceiving.” Excerpts of AP’s most recent court filings and the letter Fairey’s attorneys sent to the AP are available at PDN. Jen Bekman Projects, the innovative creator of the 20×200 prints store and the Hey, Hot Shot! 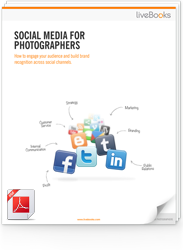 photo competition, received $800K+ in venture capital funding. The series A funding was led by California-based venture capitalist True Ventures, along with a other angel investors. 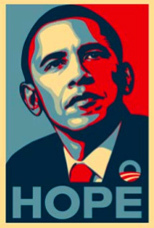 This case started back in February when the Associated Press claimed that the source image Mr. Fairey used for his iconic “Hope” and “Progress” posters of then Senator Barack Obama did in fact belong to them. They also claimed that Fairey’s use of the image was a copyright infringement. Before The Associated Press could file a law suit against Mr. Fairey, Fairey’s legal team filed a suit against The Associated Press claiming fair use exception and that the image Fairey used as his source was completely different than the one The Associated Press declared was theirs. At this juncture it’s worth mentioning that there is a valid dispute between the Associated Press and Mannie Garcia, the photographer who shot the image in question, as to who is the legal copyright holder of the photograph. Although that disagreement has little bearing on Mr. Fairey’s illegal actions announced today. As I first wrote here at RESOLVE, Fairey’s use of the image without giving attribution to the photographer was detrimental to the entire creative community. It will be hard to predict the impact from this latest twist in an already bizarre story. Mr. Fairey’s legal counsel apparently jumped ship after submitting the admissions about his evidence tampering to the court. 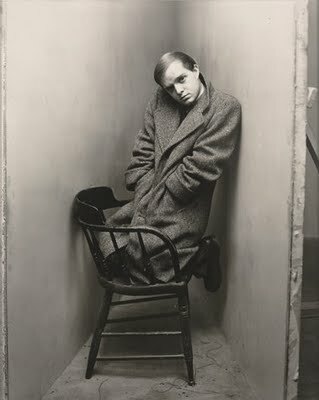 Irving Penn, one of the masters of photography, died Wednesday, October 7, 2009, at the age of 92 at his home in Manhattan. Penn leaves behind him a wealth of iconic imagery, from portraits of cultural leaders to obsessively exact still lifes. Photography Now has a great selection of Penn’s work online and the Getty Center in Los Angeles is showing Penn’s exhibition “Small Trades” now until January 10, 2010. Scientists Willard S. Boyle and George E. Smith, inventors of CCD (charge-coupled device), will be sharing this year’s Nobel Prize in Physics with Charles K. Kao, the “Father of Fiber Optics.” Although the duo had moved onto other research projects, their discovery made digital imaging possible, from point-and-shoots to the Hubble Space Telescope. Both Outside and Esquire launched a moving magazine cover this month, with the full videos available on their websites. Alexx Henry, the photographer behind the new Outside cover, made a name for himself doing a “Living Movie Poster” for the movie Mrs. Washington. It’s the second time Greg Williams has shot a moving cover for Esquire, after the first one featuring Transformer star Megan Fox. Fashion label Ralph Lauren landed in hot water this week with a “poor imaging and retouching” job on one of their advertising images. After Boing Boing brought attention to a photograph of already thin Filippa Hamilton photoshopped to unltra skinny, Ralph Lauren’s legal department sent the blog a take down notice. Bad move. Now The Drudge Report, The Huffington Post, Yahoo!, Jezebel and ABC News have jumped on it. PDN has the details.